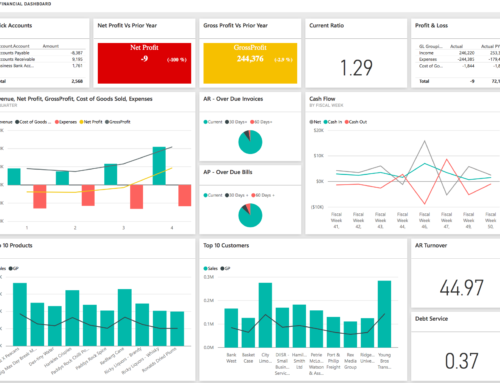 This robust interactive Power BI solution has been optimized for analyzing financial performance from a variety of angles whilst choosing to compare metrics to either prior or budget data. The solution provides the flexibility to select specific ‘To-Date’ periods from a selected point in time. Spot trends, identify outliers and analyze profitability whilst drilling down into the underlying details. Keep your finger on the pulse of your business with our Profit and Loss and Balance Sheet reports. Monitor your income, track your expenses and know your data’s story. See you top 10 Expense accounts and easily track trends in your cost of goods sold. This report set and dashboard will help you take swift action on your business based on real-time accurate data driven decisions.